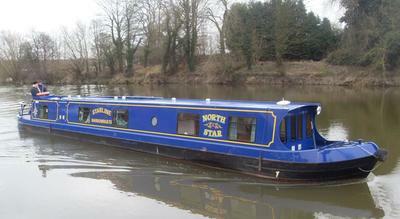 ​We would only recommend North Star be used for large parties for short breaks. With twelve on-board two sittings for meals would be required for meals at the table. 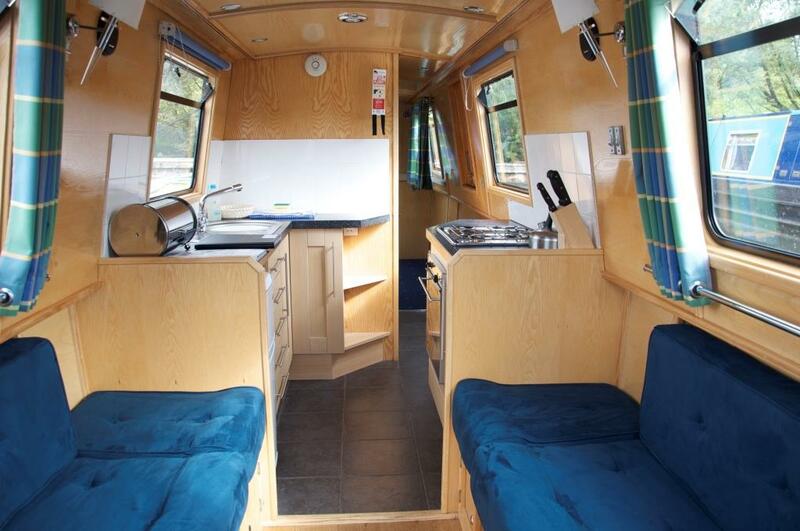 New to our fleet in 2010 North Star has been designed with flexibility in mind. Shown on the layout is the standard arrangement for 6 fixed berths with 1 double berth (double berth removed during the day to provide passage through the boat) and four low level singles. 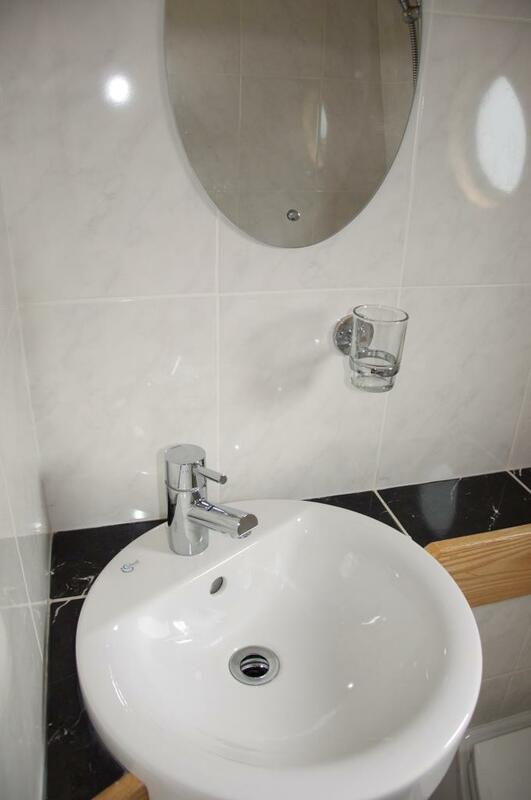 The option of converting the dinette provides a further double berth but if you want additional double berths without the need to convert the dinette every night then simply bring the four single berths together to provide three double berths each with individual access to the toilets. Still not enough berths for your group? 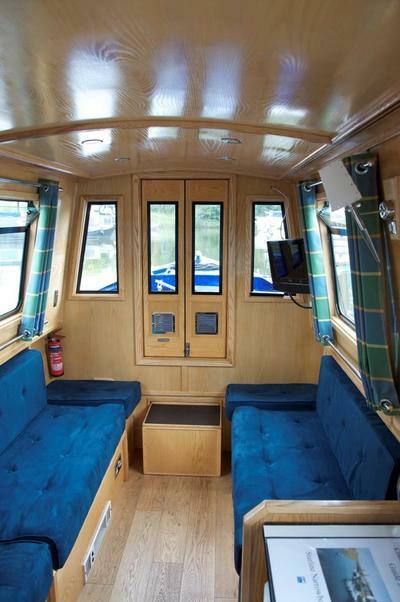 Then you have a further four optional high level removable bunks (fitted when required) providing a total of 10 fixed berths and still with the option to convert the dinette to give a total of up to 12 berths. 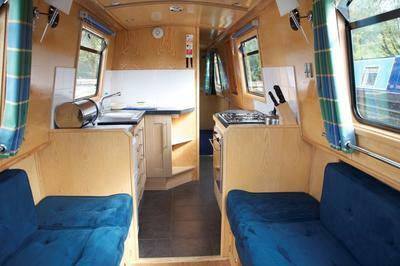 The dinette in the saloon provides an optional double bed. 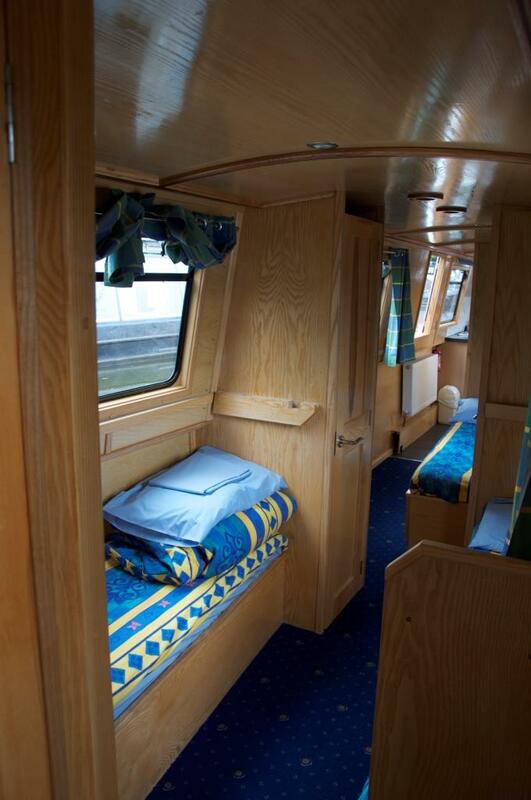 Single berths can be moved together to make doubles. Optional bunk berths are available above singles.